Rarely are the words ‘Tech’ and ‘North’ used together, and yet there’s a thriving digital tech scene in the North of England. We’re here to shine a light on it, change some fairly outdated perceptions, and catalyse the growth of this exciting sector. Our mission is to make sure our Northern tech communities have the information, networks, support and inspiration they need to further the growth and success we’ve seen in recent years. We also want to make sure the wider world knows about the entrepreneurs, companies, innovators and change agents that are reshaping the modern Northern economy through tech and digital media. We aim to achieve this by telling their stories, engaging with the community, and a series of programmes including Northern Stars, Founders’ Network, Trade and Investment, and Talent and Skills. Since offering our support to Sheffield Digital in August 2015, it has been immensely gratifying to see the immediate positive impact in Sheffield among the tech and digital community. 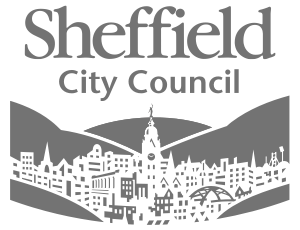 Sheffield Digital has firmly established itself as a voice for the tech sector in the city in conversations with local and national organisations and bodies, and has provided a platform for communication that is very active. This early success is testament to the drive and vision of the founders and directors of Sheffield Digital, and speaks to the strength of the community itself. It also provides a strong bedrock from which to do even more as it enters its second year, and we’re looking forward to following its progress.